Realidades 2 Cap. 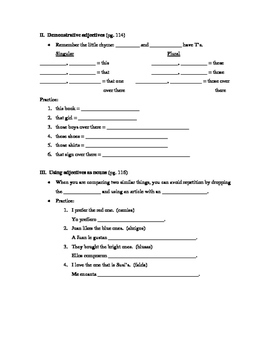 2B grammar practice - preterite, demonstrative adjs., etc. 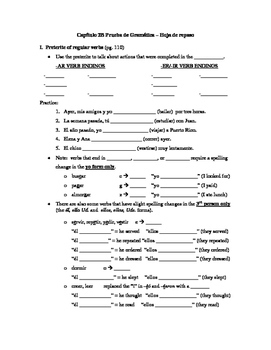 This is a grammar practice worksheet covering the concepts presented in Realidades 2, Capítulo 2B - specifically, the preterite of regular verbs, demonstrative adjectives, and using adjectives as nouns. Could be a good in-class review, homework assignment, or sub assignment!